For people, especially men, wondering how to increase testosterone, there are several factors which affect its production. Besides testosterone and heart disease connection, low levels are associated with diminished libido, strength, muscle tone, low energy levels as well as with increased risk of age related diseases, especially dementia and weakened brain function. Although it is vital for men, women need it, too but in lot smaller amounts which is why both sexes should know how to raise testosterone. Gonadotropin-releasing hormone or GnRH is secreted by hypothalamus. It regulates production of luteinizing hormone (LH) and follicle-stimulating hormone (FSH). Although many people talk about LH, when it comes to boosting testosterone production, GnRH does most of the work. It is the first step, in a system responsible for testosterone secretion. Adaptogens can be very useful, by stimulating hypothalamus and kick-starting hormonal production of hypothalamus which includes GnRH. 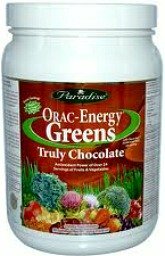 They work better in older people and in individuals with weaker endocrine system function. Mucuna pruriens can also help since it contains L-DOPA which is converted into dopamine. Prolactin reduces GnRH but dopamine inhibits prolactin which raises GnRH. While increasing GnRH is the most effective way to raise LH, FSH and eventually testosterone, you can act directly on the anterior pituitary and increase luteinizing hormone as well as FSH, thanks to few herbs and supplements. This includes Tribulus Terrestris, Bryonia Laciniosa, DAA or D-Aspartic Acid and Vitex. First three can increase LH and FSH but their effect on GnRH is not yet clearly defined. However, Vitex, also known as Chasteberry, can raise LH while lowering FSH. Although it doesn't affects hypothalamus directly, due to its dopamine like effects, it can reduce prolactin which may free up gonadotropin-releasing hormone from the hypothalamus. Decreasing estrogen is my favorite and probably the most effective way to increase testosterone. It works for younger guys and older gentleman. Estrogen is involved in testosterone production through feedback loop. Small amount of free testosterone is aromatized into estrogen which tells hypothalamus to stop producing GnRH. When gonadotropin-releasing hormone decreases, so does leutenizing hormone which prevents the body from producing additional testosterone. There are three ways to reduce estrogen. Although testosterone is mainly regulated by estrogen feedback loop, dihydrotestosterone or DHT, also has an effect on testosterone production. 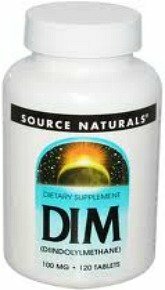 If estrogen gets very low, DHT increases and takes over the role of regulating its production. Dihydrotestosterone or DHT is produced from testosterone, by alpha 5 reductase enzyme and it is the most potent androgen which is responsible for development of masculinizing characteristics. Besides testosterone, it is vital hormone for men but too much or too little of DHT can lead to side effects. The best natural alpha 5 reductase enzyme inhibitors are Saw Palmetto and especially high dose, more than 2 mg, of Astaxanthin. High dose of Astaxanthin resulted in second case of gynecomastia, in my case because of which I prefer keeping my DHT between middle and high values. The best way to increase low DHT is by reducing estrogen and taking creatine monohydrate which may raise alpha 5 reductase enzyme. Cyclic AMP or cAMP is cell signaling molecule, involved in hormonal production, among other. By raising cAMP you can increase testosterone production. The best herb for this purpouse is Coleus Forskohlii which contains forskolin. 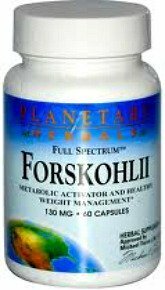 However, forskolin supplements are more suited for people above 30 to 40 years of age. On the other hand, due to its cardiovascular and general health benefits, I still take it but not on a daily basis. Its beneficial effect on testosterone production is just a plus for me. Cyclic guanosine monophosphate or cGMP is a cell signaling molecule much like cAMP. Cyclic guanosine monophosphate works synergically with cAMP but it is more like a sidekick, unlike cAMP which is the main player. Nevertheless, increasing cGMP can also be helpful, for guys wondering how to raise testosterone, naturally. The best herb for this purpouse is Horny Goat Weed. HGW contains icariin which can raise cGMP and even cAMP, to some degree. However, I have tried HGW standardized for high icariin content but I didn't experienced any dramatic effects. Nevertheless, it lowered my blood pressure slightly which was helpful, in my case. Steroidogenic acute regulatory protein or simply StAR is a protein involved in production of hormones. 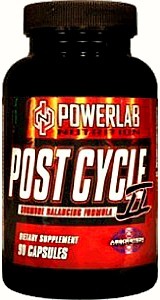 It helps transport cholesterol into the cell which makes it vital for testosterone production. As we get older as well as due to our unhealthy lifestyle choices, StAR decreases and with it, hormonal production. However, we can increase this vital protein with few herbs and spices such as Parsley, Celery, Lemon Balm and few others. Crucial component in these herbs is apigenin which can increase StAR and with it, testosterone. For more informations about apigenin, use the search box on the right. While all these tips can be very helpful, diet and exercise are two basic factors for normal function of the endocrine system. By eating healthy foods, you get diverse array of phytochemicals into your body which in one way or another, nourish the endocrine system responsible for production of all hormones, including testosterone. On the other hand, exercise stimulates nervous system and endocrine glands thereby improving hormonal production. Preforming short duration - high intensity activities few times per day, has shown to be the most effective way to increase testosterone, when it comes to exercise. Besides diet and regular exercise, getting enough sleep is also a must. During sleep, the body regenerates itself, by producing GnRH, LH, FSH, testosterone, estrogen, DHT, GH as well as other hormones and chemicals. Testosterone levels are at their highest in the morning because of which you may exeperience deeper voice, morning erections, increased libido and short temper. Also, having an afternoon nap, may help too since even a short amount of REM sleep can considerably boost hormonal production. There is a difference between total testosterone, from which 98 % is bound to binding proteins and free testosterone. While 1/3 is bound to albumin, 2/3 of testosterone are bound to SHBG. However, the bond between albumin and testosterone is very weak which makes SHGB the only real obstacle towards increasing free T. Only free T can enter the cell and do its job. From my research and personal experience, besides intense exercise, lowering estrogen is the most effective way to raise free T. By inhibiting aromataze enzyme, less free testosterone is aromatized into estrogen because of which more free T is left circulating in the blood. On the other hand, by reducing estradiol, you can decrease the amount of binding proteins that are produced in the liver such as SHBG. Also, by blocking estrogen receptors and reducing it, total testosterone increases which usually leads to increase in free, bioavailable testosterone, too. Besides estrogen, thyroid hormones can also increase SHBG and lower bioactive, free T which is seen in people with hyperthyroidism. On the other hand, androgens such as DHT decrease liver's production of SHBG. My doctor scheduled some test, including these two because of the pain I was having. However, thanks to them, I learned more about my body as well as how to recover and improve function on my cardiovascular system, even more. I also learned how to raise testosterone, thanks to which I can share the knowledge I acquired as well as the test results I got. As you can see from the test above, although my total testosterone is at its max, my free T is at bare minimum, despite SHBG being very low. I ate oatmeal every morning during this time because of which my SHBG is very low. Avena sativa or oats are able to lower SHBG. Also, Longjack or Eurycoma Longifolia and Nettle are able to reduce SHBG. However, most cheap supplements out there don't contain enough active ingredients, when it comes to these two, in order to provide significant effect. Before taking the second test, I took Vitex and Mucuna Pruriens for couple of months and I removed milk from my diet, in order to balance progesterone and lower prolactin. Although these two reduced my prolactin, Vitex negatively affected my testosterone values. 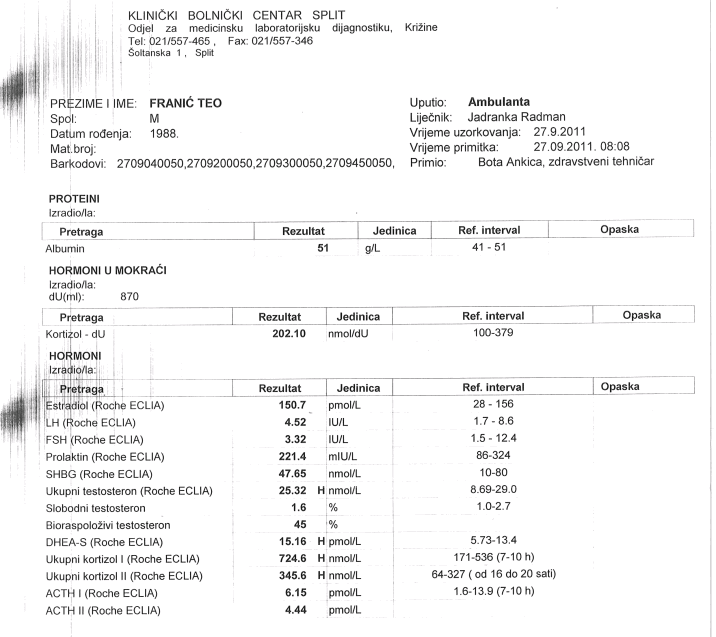 While the herb increased LH, Vitex also significatly decreased my FSH and with it, testosterone. However, I only got five our of sleep before the test which may have affected the results. On the other hand, despite higher SHBG values, my free T was significantly increased since I reduced my estrogen. Although estradiol is 150, I believe it was much higher since my gyno almost disappeared and I lost several pounds after taking anti-estrogen supplements and consuming anti-estrogen foods, before the test. When it comes to increasing free testosterone and heart disease, I prefer whole grain bread since I no longer drink milk which is full of toxins. You can also make your own tincture from whole oats with a help of alcoholic beverage containing 25 to 50 % ethanol such as vodka. On the other hand, whole grain bread made from oats and flax seeds is very healthy and very tasty. Flax seeds contain lignans such as 3,4-Divanillytetrahydrofuran and Secoisolariciresinol which are also found in Nettle root that is used to increase free T, by binding to SHBG. Home made tincture and whole grain bread offer affordable approach for people such as myself that are looking how to increase testosterone and reduce SHBG thereby utilizing total testosterone to its max.